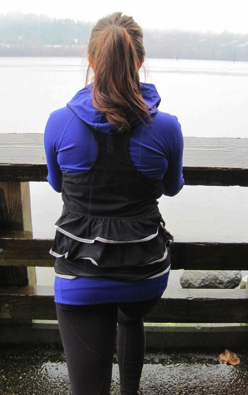 Coquitlam Centre just posted pictures of this new V-Neck Running vest with oodles of reflectivity edged into the ruffles on the back and on the logo on the front. 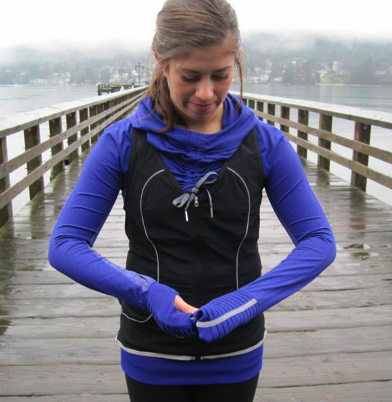 The two things I feel a running vest must have are great pockets and tons of reflectivity. 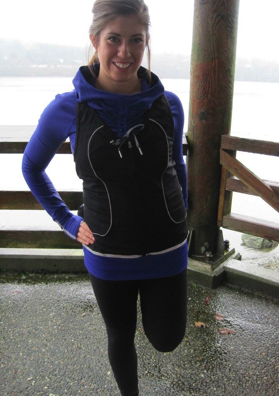 If it’s not highly functional there is just no point in wearing a vest for running in. I’ll be in the store shortly so I’ll check out the details and post them back here. "Boxing Day Shopping Report and Photos Of The Latest"
"Run: Shine Your Heart Out Vest"
Yikes… Mullet vest: business in the front, party in the back! The ruffles are a little ridiculous.